This series is fantastic to say the least. I am not necessarily a fan of fae world but this book is something else. I don’t dislike fae, it just comes hard for me to picture the fae universe. Luckily the author made it very easy for me. Let’s start with the obvious: this cover is so beautiful and inviting. The color combination feels inviting to me. And once you go through the book, you’ll see how much sense the title has. What we have here is somehow a game of shadows in the beginning. With our main character being slowly introduced to this strange world, we get to discover the faes, their powers, the darkness that comes with this knowledge. Becca is just your normal person, trying to make a living, until she starts seeing things. Her nightmares come to life. She is face to face with a mission far beyond her imagination. She meets strange beings that may or may not be trustworthy. Everything is surrounded in shadows. Ok, I have established how much I liked book 1. It’s a great universe, with interesting characters. Check it out, you’ll love it! 5 stars and all my happiness to have discovered this author! After reading the first book in the duet, I could not put down the second one. I was lucky to participate in the blog tour and receive review copies for both, so I did not have to wait long to read the conclusion. This is even darker than the first one. We have action all the way and we even have some kind of a psychological play. Becca is drawn into Lochlan’s world and she has new challenges to face. She is more mature and beaver now that she knows with what she has to deal. After book 1, one would think you already know what to expect. You know the world, the action, the villains. Agree, but the author gives us more with every chapter. 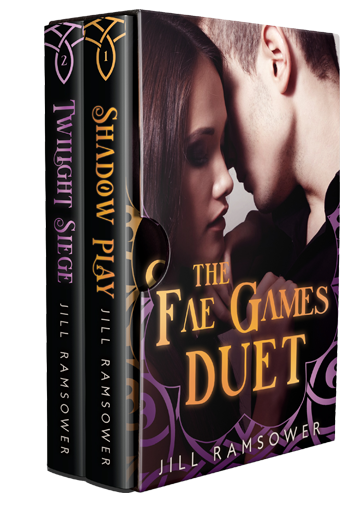 Becca enters the world of shadows, where she finds allies who will help her discover her true power. She will become stronger and independent. But will she be ready to face her enemies? Will Becca and Lochlan have their happy ending? I have enjoyed my time with this second part of the story so much! I have read it in one sitting so this should be proof enough. Let me know if you decide to give it a try and also, let me know what you think about faes. 5 stars for “Twilight Siege”.